Nothing tastes as good as a great salad, especially a great salad with good conversation! A couple of weeks ago two of my partners in mayhem, I mean friends, headed over to the cheesecake factory to discuss all of the dumbasses, I mean, unenlightened people in the world. What better place is there to go after a rough day in the Mom trenches? Nothing dulls the sting of folks not seeing things your way like a bite of cheese cake! My friends went right to the BBQ Chicken Salad but the Kale, Quinoa salad caught my eye! Surely the combination of kale and a super grain would offset the soon-to-follow dessert, right? Food choice justifications aside, I loved the salad and just had to try recreating it at home. The ingredients are simple, healthy and easy to find. When serving raw kale in a salad it’s important to remove the center stem. It’s quite bitter and tough. Kale can be rough; slicing it into thin strips makes it the perfect texture for this salad. Put all the ingredients for the dressing in a jar, put the lid on, and shake vigorously. 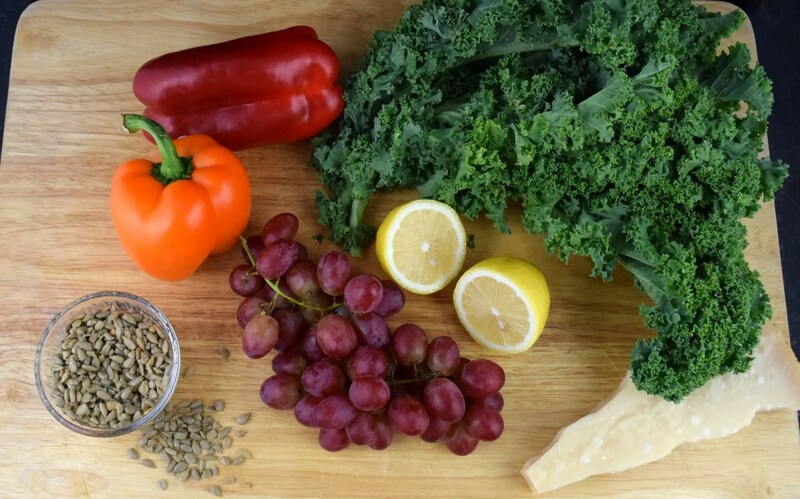 Mix the kale, with the rest of the ingredients and drizzle with dressing and serve! While you’re looking, check out some great soup recipes to go with the salad! 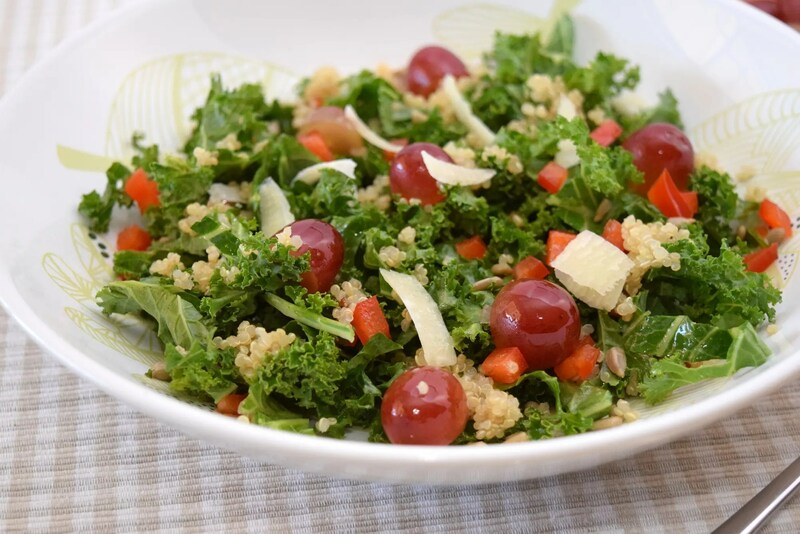 Easy to make Kale salad, inspired by the Cheese Cake Factory's Kale and Quinoa Salad. 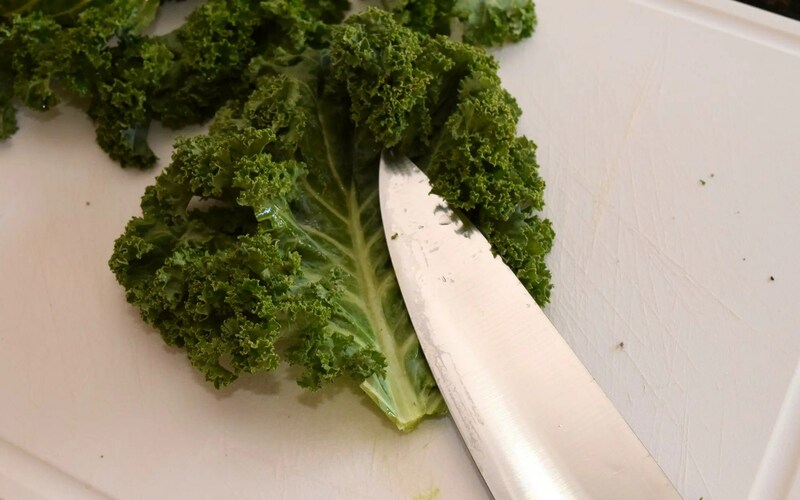 Cut kale into small thin strips, like you would cabbage, for coleslaw. Slice grapes into halves. Finely dice half a red bell pepper. 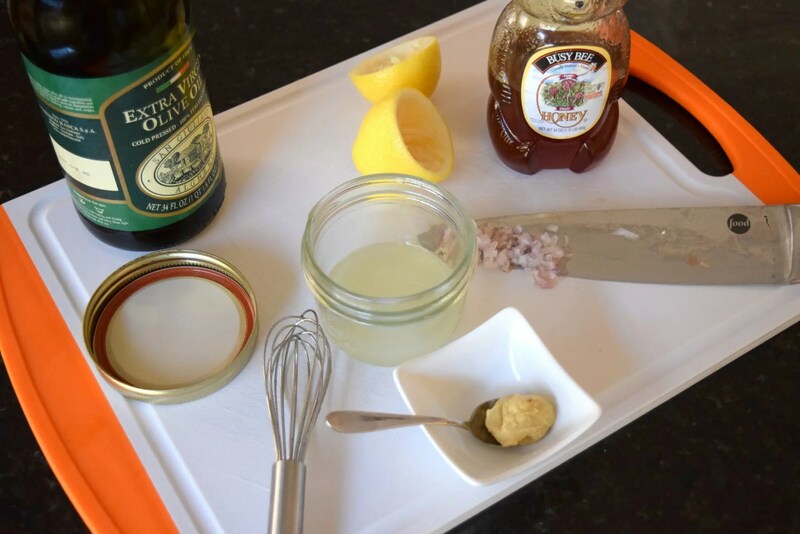 In a jar, add the lemon, shallot, oil, sweeter, and salt and pepper, and shake vigorously until well-mixed. I have kept the dressing quite tart as it goes well with the sweetness of the grapes, but you can add more sweetener to suit your own taste. 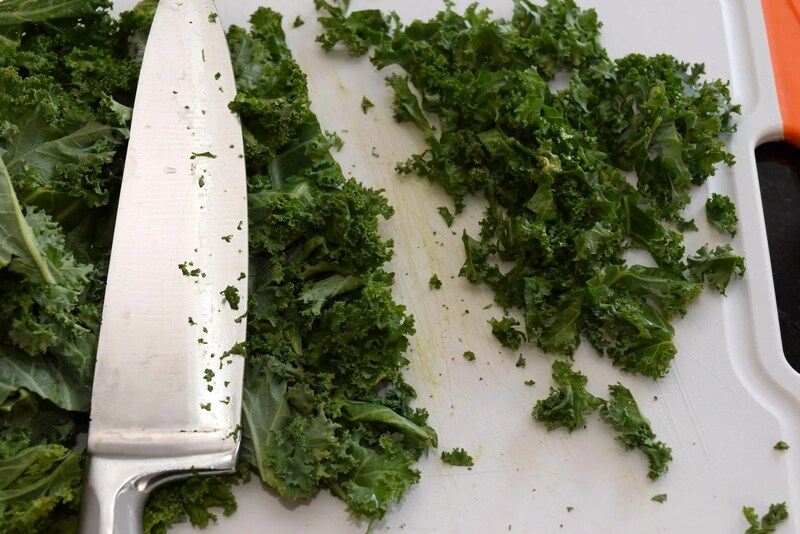 In a serving bowl, toss kale with salad dressing. Add in the grapes, sunflower seeds, quinoa and red bell pepper. Top with Parmesan cheese and serve! I have made this three times now. I’m addicted. Thanks for the recipe. 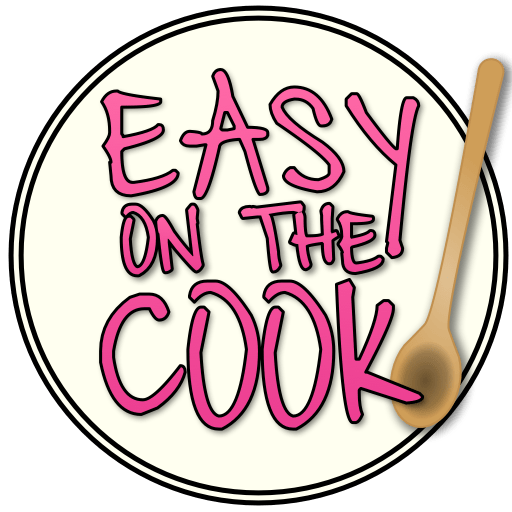 Loving this site, you need more recipes.